DUBAI — Qatar Petroleum is struggling to work out how to market Libyan oil on behalf of anti-government rebels a senior Qatar Petroleum (QP) source said on Wednesday. "The decision was just a political move and not something that we can do so easily or really fast because the ports are still in bad shape and no insurance company will be able to cover ships going there," said the source from QP who spoke under condition of anonymity. He said the options for QP included buying the oil and reselling it or helping rebels load shipments and deliver them to Libya's customers. On Monday, Qatar became the first Arab country to recognize Libya's rebels while a U.S. Treasury Department official said crude oil sales by rebels would not be subject to U.S. sanctions if they were not connected with Gaddafi government entities. An official close to Qatar's government said that U.N. sanctions against Libya also made such a plan difficult, even if there was no intention to punish the rebels. "The idea was to show the world that we are ready to help and support the rebels, the mechanism on how to do that is still under study," the official said. Libya produced about 1.6 million barrels of oil per day before the crisis, or almost 2 percent of world output. "This was just a gesture to show that we support the rebels and if the situation gets better we might not even do anything and Libya would be able to handle things," the QP source said. 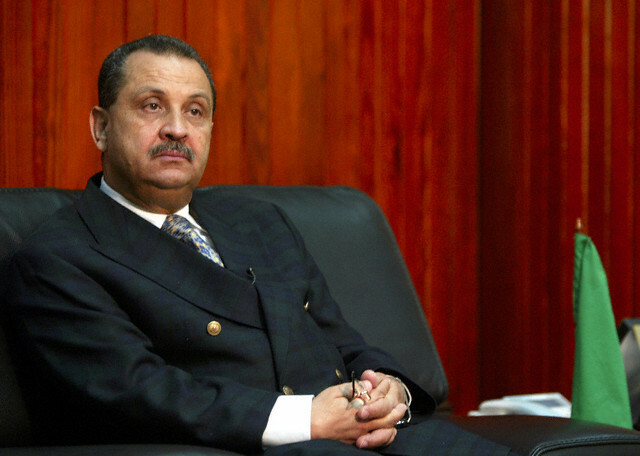 LONDON, March 31 (Reuters) - Libya's top oil official Shokri Ghanem denied reports he had left the country, saying he was still in his office. "This is not true, I am in my office and I will be on TV in a few minutes," Ghamen said by telephone. Al Jazeera television said on Thursday that "a number of figures" close to Libyan leader Muammar Gaddafi had left Libya for Tunisia, citing Ghanem as one of them. NEW YORK (Dow Jones)--Oil futures settled at their highest level in 2 1/2 years Thursday as the dollar weakened and Libyan rebels suffered a setback, raising fears that the conflict could be prolonged. Gasoline and heating oil futures also surged to their highest levels in more than two years. Light, sweet crude for May delivery settled up $2.45, or 2.4%, at $106.72 a barrel on the New York Mercantile Exchange, marking the contract's highest settlement since September 2008. Brent crude on the ICE futures exchange settled up $2.23, or 1.9%, to $117.36, the highest since August 2008. Traders focused on a steep drop in the dollar versus the euro Thursday, which spurred buying of hard assets like commodities. The euro was lifted by predictions that the European Central Bank will lift interest rates next week, in line with its aggressive posture against inflation. "There's the overall sense that the dollar is overvalued, that there's still too many dollars in the system," said Darin Newsom, senior commodities analyst at Telvent DTN. "We've got strong money coming back into commodities as a whole." A weaker dollar tends to boost the price of oil as the dollar-denominated commodity becomes cheaper in other currencies and investors look to hard assets as a hedge against inflation. The ICE Dollar Index, which tracks the greenback against a basket of currencies, was recently down 0.3% at 75.850. Trading volume was muted Thursday, the last day of the quarter. Crude prices have enjoyed a brisk rally during the last three months. Nymex crude is up 16.7% this year, as popular movements across the Arab world have raised worries of supply disruptions. Those worries have taken center stage in Libya, where some 1.3 million barrels of oil exports a day have been shuttered due to a rebel uprising and Western sanctions. Rebels suffered a setback Wednesday, when forces loyal to Col. Moammar Gadhafi's forces reportedly overran the eastern oil town of Ras Lanuf, a key rebel stronghold. In the nearby town of Brega, also a rebel stronghold, Gadhafi forces were shelling rebels, AFP reported. The setbacks have spurred worries that an end to the conflict and the return of Libyan oil to the market remain far off. "We're back to where we started," Rich Ilczyszyn, broker at Lind-Waldock, said of the rebels' progress. "It's no accident the oil starts to trade up on that." Gasoline and heating oil futures also touched highs. 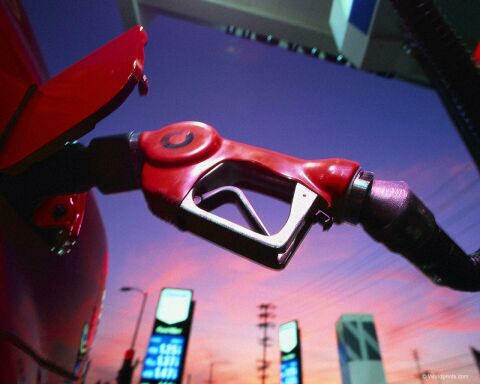 Gasoline demand is set to rise in the coming months with the start of the summer driving season. Front-month April reformulated gasoline blendstock, or RBOB, rose 4.36 cents, or 1.4%, to settle at $3.1076 a gallon, the highest settlement since July 2008. April heating oil advanced 5.02 cents, or 1.7%, to $3.0898 a gallon, the highest since August 2008. Both contracts expired Thursday. LAGOS — Nigeria begins elections on Saturday amid uncertainty over a major overhaul of its oil industry that has led to a freeze in new investment despite relative calm in the restive Niger Delta region. At the same time, improvements in the Niger Delta, the country's main oil-producing region hit by years of attacks, have led to suggestions that output could be further boosted to help make up for cuts due to Libyan unrest. The legislative, presidential and governorship elections to be held over three successive weekends may have profound effects on the industry in Africa's largest oil producer. The oil industry is vitally important to Nigeria, providing more than 90 percent of export earnings and some two-thirds of government revenue. President Goodluck Jonathan, the first head of state from the Niger Delta and favoured to win the April 9 presidential vote, has pushed for final approval of a wide-ranging oil reform bill. He has pledged that the bill that has been years in the making will be passed before his current term ends in late May, but the clock is ticking. "If the (bill) gets passed, it changes the oil industry fundamentally," said Kayode Akindele of Greengate Strategic Partners financial advisers. 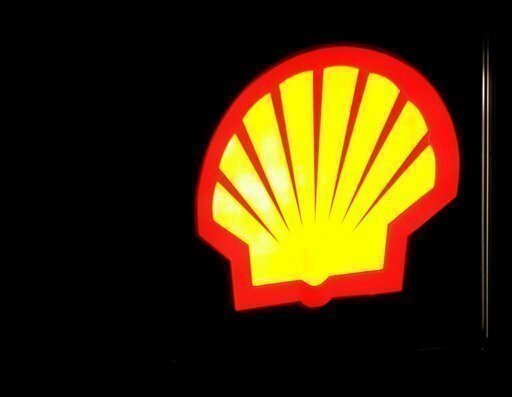 Major oil companies in Nigeria, including Shell, ExxonMobil, Chevron and Total, have pleaded for clarity. Substantial new investments have been held up because firms are unsure of the new financial terms. The overhaul is aimed at allowing Nigeria's government to collect more revenue from lucrative offshore projects as well as restructuring the state oil company, widely viewed as corruption-ridden. It also goes much further, taking in gas production and a range of other issues, and has gone through many different versions. Some say there is added pressure to approve the bill before the new legislature comes into office since a large number of incumbent parliament members are not running in this Saturday's legislative election. New parliament members may want again to rewrite the bill, causing further delays. The government has also acknowledged it is losing out on revenue at a time of high oil prices due to the uncertainty. "It will be signed into law before the end of this administration (on May 29)," Oil Minister Diezani Alison-Madueke said recently. Despite the reform hold-up, Nigeria has seen its production rebound to some 2.4 million barrels per day, with an amnesty deal offered to oil militants in 2009 credited with bringing relative calm to the Niger Delta. 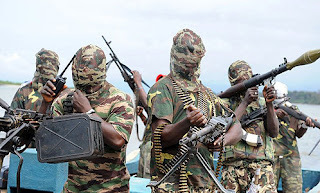 Scores of attacks and kidnappings have been carried out in the deeply impoverished region by criminal gangs and militants claiming to be fighting for a fairer distribution of oil revenue. Analysts note that there is a risk of a flare-up in violence during and after polls, with politicians in the Niger Delta having in the past armed gangs for vote-rigging. State governorship polls to be held April 16 are of particular concern, but there is hope that this year will not result in the same level of violence as previously. "There will be pockets of violence," said Victor Ndukauba of Afrinvest advisers. "However, there is much better awareness to a lot of the foot soldiers a lot of those militants have ... There will be violence, but we don't think it will be as bad." Others have warned that the relative calm in recent months is only temporary, with underlying causes of unrest such as unemployment and poverty yet to be addressed and likely to feed another wave of militancy in the future. But partly due to the improved atmosphere, there have been suggestions that Nigeria could restart producing from idle fields to help make up for cuts in Libya and elsewhere due to unrest. Both Nigeria and Libya produce high-quality "sweet" crude sought after for fuel production. But elections have been a distraction in Nigeria, an OPEC member which also has not been given the green light by the cartel to further increase production. "I think with elections going on, everyone's got their eye off the ball," said Akindele, adding that the country could boost production by between 300,000 to 400,000 barrels per day in the short term. The state-run Nigerian National Petroleum Corporation (NNPC) is to build three more refineries at a cost of US$25 billion between now and 2014, according to the company's executive director of refining and petrochemicals, Mr. Philip Chukwu. He told journalists Tuesday that the capacity of the three new refineries would be 885,000 barrels per day (bpd), bringing the total capacity of the country's refineries to 1.3 million bpd. Nigeria currently has four refineries which are however operating at only 30 per cent of their installed capacities due to poor maintenance and years of neglect. Most of the domestic petroleum products consumed in Africa's biggest oil producing nation are imported. Business ExchangeBuzz up!DiggPrint Email .BP Plc and Morgan Stanley bought North Sea Forties crude at prices little changed from yesterday. India Bharat Petroleum Corp. bought Nigerian Qua Iboe oil from Morgan Stanley, and Indian Oil Corp. is seeking more crude. BP bought one shipment of Forties for loading April 12 to April 14 from Total SA at 20 cents above benchmark Dated Brent, according to a survey of traders and brokers monitoring the daily Platts trading window. Morgan Stanley bought another cargo for April 17 to April 19 from Trafigura Beheer BV at the same premium, the survey showed. Reported North Sea market activity typically occurs during the Platts window that ends at 4:30 p.m. in London. Prior to the window, Forties loading 10 to 21 days in the future cost 19 cents more than Dated Brent yesterday, compared with a premium of 22 cents March 29, according to data compiled by Bloomberg. Brent for May settlement traded at $116.87 a barrel on the London-based ICE Futures Europe exchange at the close of the window, up from $115.23 yesterday. The June contract was at $116.75, 12 cents below May. No bids or offers were placed for Russian Urals in northwest Europe for the third day. The grade was assessed at $3.91 a barrel below Dated Brent today, unchanged from yesterday, the Bloomberg data showed. The share of North Sea Buzzard crude in the Forties oil blend fell to 26 percent in the week to March 27, from 31 percent a week earlier, BP Plc said today on its website. Petraco Oil Co. failed to sell 140,000 metric tons of Urals loading for April 17 to April 21 in the Mediterranean even after it lowered the offer by 10 cents to $3.20 a barrel less than Dated Brent, the survey showed. Eni SpA sought to buy 80,000 tons of Urals for April 14 to April 18 at $3.40 below Dated Brent without success, while Vitol Group withdrew its earlier offer for the same volume for April 17 to April 21 at a discount of $3.10 to the benchmark, according to the survey. OAO Surgutneftegaz sold 100,000 tons of Urals crude for loading April 13 to April 14 from the Baltic Sea port Primorsk to Repsol YPF SA through a spot tender, according to three traders who participate in the market. Bharat Petroleum, India’s second-largest state-run oil refiner, bought about 2 million barrels of Nigeria’s Qua Iboe crude for loading in May from Morgan Stanley, three people who participate in the market said today. Indian Oil Corp., the country’s biggest refiner, issued its fourth spot tender for May-loading crude and the first one for June, official documents obtained by Bloomberg News show. Both tenders will be awarded April 7. 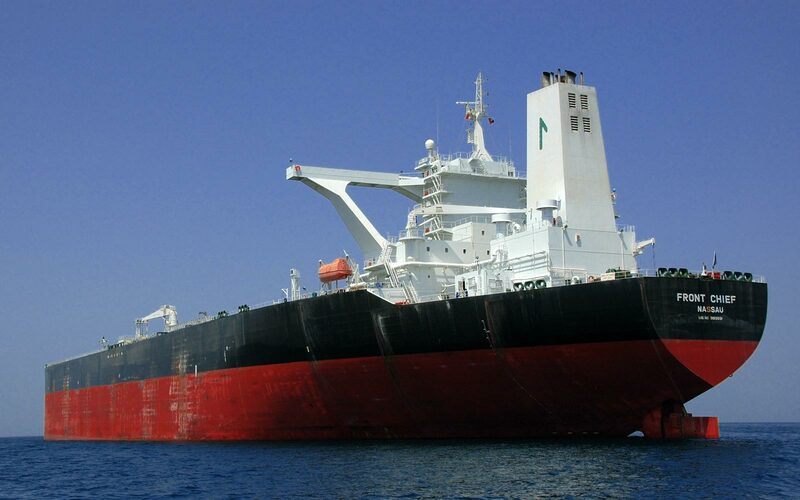 Two Congo’s N’Kossa shipments for May loading and one Djeno cargo for May 9 to May 10 were sold at unknown prices, according to traders involved in the transactions of the region’s oil. For Angola crude, only Dalia and Kissanje shipments are available, and the rest were sold, they said. IN three years, Nigeria will stop importing petroleum products, Finance Minister Olusegun Aganga said yesterday. Also to stop is the importation of rice and some other commodities. The measures are to grow the economy, according to the Minister, who spoke in Lagos during an interactive session with The Organised Private Sector, hosted by the Debt Management Office. He disclosed that the government had saved N12 billion from Ministries, Departments and Agencies (MDAs), as it renews interest in fiscal discipline in public finances. The government is discussing with three investors, who are billed to set up refineries in the country. Nigeria, which is the world’s seventh largest producer of crude oil, and in spite of the fact that she has four oil refineries, imports about 70 per cent of its refined petroleum products. The refineries, which have the capacity to process 445,000 barrels of crude a day, are running at about 30 percent of installed capacity. All four refineries are undergoing routine maintenance. About N700billion is spent on petroleum subsidy annually. Aganga said Nigeria would save a lot of money, if it produces petroleum products locally. “We want make sure that in the next three years, all these areas that we are wasting our foreign reserves on will be stopped. Rice is another area that government is working to stop importation. Government is committed to providing the right environment for these industries to thrive,” he said. In his view, the government will save a lot by using gas to produce fertiliser and cultivating over 58 million hectares to produce enough food for export and the local population. “It is time for all of us to take advantage of all these things we have in the country, even as government’s Import Substitution Programme is going to address these issues,” Aganga said. He promised that the government would provide incentives and waivers, where they become necessary, to ensure that the target is achieved. According to Aganga, the government has no reason to continue the importation of fertiliser, rice, palm oil and petrol. He said talks were on with companies that want to set up fertiliser plants in the country. “This government is determined that in three to four years time, we would have replaced these products. We have identified all the products and will create the environment that is conducive for them to thrive and make sure that we become exporters in these areas,” he said. Aganga said a new payroll system introduced by the government saved N12billion after the accounts of 16 MDAs were examined. “We introduced IPS into our payroll system, where we have a bio-data of everybody in 16 MDAs and that has saved us $12 billion. We are now extending it to all the other MDAs. That tells you there is hope for significant savings in that area. That is part of the fiscal discipline approach, we are adopting,” he said. The minister said the government has set up a committee looking at uncompleted projects to ensure that due process is followed and contracts completed. “For the first time, we have a programme manager who will work with all the MDAs, from where they are doing procurement to where they are doing designs, implementation. They follow that process and report back to the Budget Office. Procurement, monitoring and evaluation are followed strictly by these bodies,” he said. Aganga also said the government was designing a platform that will make it easier for each constituency to know the roads or any developmental projects that are being awarded, and when such projects will be completed. This he said, will make the people hold government accountable and create transparency in the execution of contracts. He said that training of government personnel abroad will henceforth be scrutinised and tied to productivity. He said that there is nothing wrong with the establishment of the Sovereign Wealth Fund (SWF) provided that the funds in the Excess Crude Account (ECA) are used prudently by benefiting governments and parastatals. The Minister also disclosed that government has received 331 proposals, in terms of expression of interest in power projects. The Bureau of Public Enterprises (BPE) and their advisers, he said, are working to get the best investors for the power projects. Aganga said the government has identified 65 projects needed to transform the economy. “Modern rail system is being proposed. We have also identified, which of them will be funded through Public Private Partnership and that’s why government has set out N15 billion tagged viability gap funding in the budget to help support companies that will be carrying out these projects, especially the unprofitable ones,” he said. Government he said, needs to bring down domestic debt, which is usually tied to recurrent expenditure while foreign debts are used in developmental projects. DMO Director-general Dr. Abraham Nwankwo said the government was partnering with the private sector to ensure that government’s plan to bring Nigeria into the top 20 economies in the year 2020 is achieved. LONDON (Reuters) - Top African oil producer Nigeria has awarded 2011 supply contracts worth around $30 billion, with trading companies Vitol, Trafigura and Glencore landing some of the biggest contracts, a document showed. The Nigerian National Petroleum Corporation (NNPC) has awarded term contracts for around 1.5 million barrels per day (bpd) from its share of the country's oil production. Based on the current price of Brent crude oil, the total supply deals are worth around $172 million a day or $32 billion for the June-December period, when trade sources said the contracts would be valid. Given crude supply disruptions from Libya, relatively stable Nigerian oil output since a 2009 amnesty has increased the appeal of the west African country's light, sweet oil and competition for contracts is fierce, trade sources said. Strong demand has pushed cash prices of the benchmark Nigerian grade Qua Iboe to more than two-year highs this month, making it among the most expensive oil in the world. "There were lots of arguments and infighting and trips out to Nigeria to arrange this," said an oil trader working for a company appearing on this year's list. Trading firms Vitol, Trafigura and Glencore each won the biggest contract awarded for 60,000 bpd of crude oil. This amounts to two crude oil cargoes a month. Nigeria's production has been steady at around 2.6 million bpd over the past year, the energy advisor to the current president said this month. Many African trading companies such as Delaney, Masters E. and Elanoil appeared on the 2011 list that were not previously term buyers, trade sources said. But larger international trading firms to increase their allocations by buying out contracts given to smaller, African companies, they added. "It used to be just the bigger firms that got the contracts but the indigenous list is rising. The big firms will be going around and trying to buy from the smaller ones," said a west African crude oil trader. Some thought that the Nigerian election could result in further contract revisions. "The people in power can do what they want in terms of allocations. There is room for change," said a second crude oil trader. Italian refiner ERG was awarded a contract to sell 30,000 bpd in a move that market participants saw as likely driven by the firm's need to replace lost Libyan barrels. The firm was previously only a sporadic buyer of west African oil, a trader said. Brazil's Petrobras and Azeri oil firm SOCAR were also new term suppliers from Nigeria, the document showed. The Ivory Coast did not appear among this year's list of buyers, in a change from 2010. The country's 80,000 bpd SIR refinery may be forced to shut from the middle of next month unless it gets fresh supplies of crude oil, the refinery's managing director said this week, because of difficulties paying for crude. March 30 (Reuters) - Nigeria is home to Africa's largest energy industry, regularly producing more than 2 million barrels of oil equivalent per day (boepd). Below are details of major oil projects due to start producing in the next 4 years, provided by oil companies and industry sources. * Usan - Operator Total (TOTF.PA: Quote) says work on the deepwater project will proceed apace this year and is due on stream in 2012 with 180,000 boepd planned production. * Satellites - Offshore development operated by Exxon Mobil (XOM.N: Quote) due on stream in two phases. The first should produce 70,000 boepd by 2011-2012 with the second phase adding 300,000 boepd ongoing from 2013. * Gbaran-Ubie - Royal Dutch Shell (RDSa.L: Quote) has already begun producing from this project, which is principally focused on gas. When fully operational later this year it will produce as much as 70,000 boepd. * Bonga - Nigeria's first deep-water oilfield already has the capacity to produce more than 200,000 boepd. Operator Shell and its partners are making early production projections of 100,000 boepd from Bonga North and 140,000 boepd from Bonga Southwest from 2013. * Bosi, Erha North - Two more offshore projects operated by Exxon. Projected figures suggest Bosi could reach 135,000 boepd with Erha North adding 50,000 boepd from 2013. NEW YORK -(Dow Jones)- U.S. crude inventories rose more than analysts' expectations last week, according to data released Wednesday by the U.S. Department of Energy. Crude oil stockpiles rose 2.9 million barrels to 355.7 million barrels, compared with an average survey estimate of a 1.5-million-barrel increase. The American Petroleum Institute, an indsutry group, reported a 5.7-million-barrel build in its weekly report released late Tuesday. Light, sweet crude for May delivery extended early losses following the report, recently trading $1.24 lower at $103.55 a barrel on the New York Mercantile Exchange. April gasoline futures fell 0.71 cent to $3.0387 a gallon, while April heating oil futures fell 1.50 cents to $3.0265 a gallon. Oil stockpiles have risen by nearly 21 million barrels since the beginning of the year, and have posted gains for four straight weeks. Gasoline stockpiles fell 2.7 million barrels to 217 million barrels, the department's Energy Information Administration said in its weekly report, compared with a drop of 1.7 million barrels forecast in a Dow Jones Newswires survey of analysts. 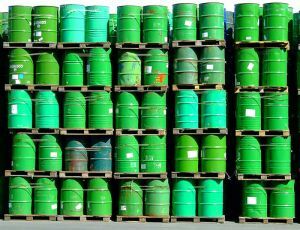 Distillate stocks, which include heating oil and diesel fuel, rose by 700,000 barrels to 107.9 million barrels, compared with analysts' forecast of a 400,000- barrel drop. Refining capacity utilization remained unchanged at 84.1%. Analysts had expected a 0.3 percentage point increase. API pegged refinery utilization at 83.3% last week, up 0.7 percentage point. The industry group reported that stockpiles of gasoline fell by 2 million barrels and distillates fell by 112,000 barrels. Figures in millions of barrels, except for refining use, which is reported in percentage points. Forecasts are the average of expectations in a Dow Jones Newswires survey of analysts earlier in the week. 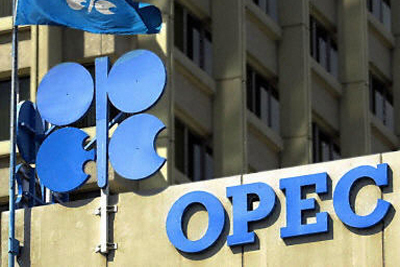 Opec, the oil producers’ cartel, will reap $1,000 billion in export revenues. Opec, the oil producers’ cartel, will reap $1,000 billion in export revenues this year for the first time if crude prices remain above $100 a barrel, according to the International Energy Agency. Republicans and oil state Democrats have argued for expanded offshore oil and gas drilling in light of rising prices and foreign oil dependence. House Natural Resources Committee Chairman Doc Hastings, R-Wash., introduced legislation that expands drilling. Additionally, undeveloped oil and gas leases in the Gulf of Mexico may hold 11.6 billion barrels of crude, enough to meet U.S. demand for almost two years. “This administration seeks to increase politics rather than increase energy production,” Erik Milito, upstream director at American Petroleum Institute, said in an e-mail today. “This is an effort to distract the American people from rising gas prices, and the fact that the administration has been delaying, deferring or denying access to our oil and natural gas resources here at home. Meanwhile, the GOP wants to drill everywhere, even just off Virginia's coast. One bill would require the Department of the Interior to hold lease sales for Virginia within one year of the bill becoming law. Essentially, it would allow energy companies to begin probing a 2.9-million acre tract — slightly larger than Delaware — located roughly 50 miles off the coast. "The majority of Americans support offshore energy production, and these bills will allow it to move forward in a safe, responsible and efficient manner," Hastings said. 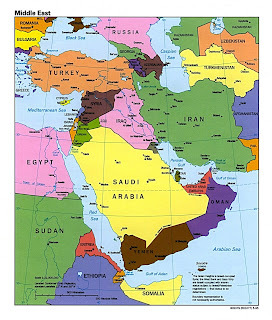 "With thousands un- employed in the Gulf region and gasoline prices nearing $4 per gallon, swift action must be taken." NEW YORK/ABU DHABI (Reuters) - Saudi Arabia's plans to expand its drilling rig count by 28 percent signal a rush to deliver the 12.5 million barrels a day (bpd) of capacity that Riyadh has long claimed is in place. Two Saudi officials told Reuters on Tuesday that the extra rig activity would maintain rather than increase the kingdom's oil capacity. 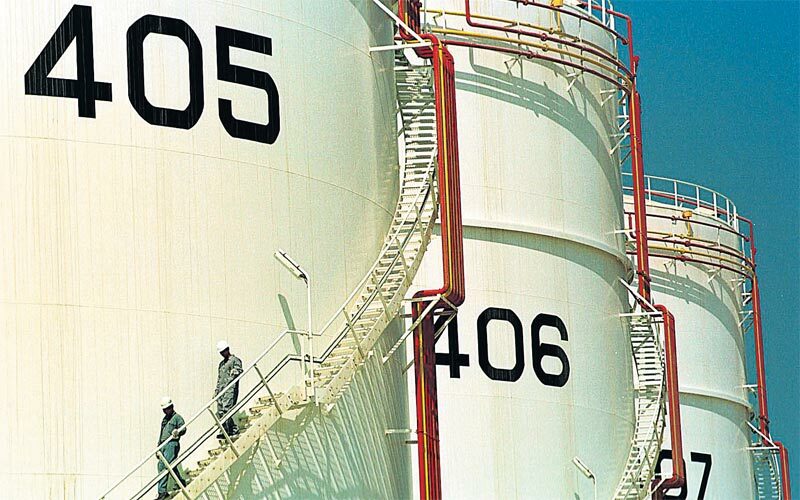 It completed a multi-year expansion in 2009 meant to boost spare capacity by more than 3 million barrels per day. "It's not to expand capacity. It's to sustain current capacity on new fields and old fields that have been bottled up," one of the officials said. State-run oil giant Saudi Aramco met leading oil service companies including Halliburton (HAL.N) over the weekend to discuss plans to boost the country's rig count this year and next to 118, from around 92 now, Simmons & Co analyst Bill Herbert said on Monday. Saudi Arabia increased its output to around 9 million bpd this month to help compensate for disruption of supply from fellow OPEC producer Libya. 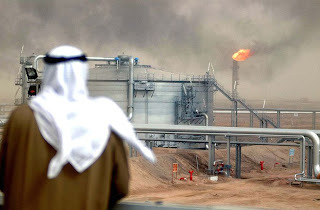 Higher oil prices set off by recent political unrest in the Middle East and surging demand for crude in the developing world are spurring increased activity in the Saudi oil patch. Brent crude traded above $115 a barrel on Tuesday and has risen 22 percent this year. "The market has provided the Saudis with confirmation of the fact that the risk premium is here to stay, implying elevated crude prices," said strategist Shelley Goldberg of Roubini Global Economics. "The Saudis, and others, are likely to throw money at this growing problem to placate the doomsaying and oil supply shock vigilantes." In theory, Saudi Arabia possesses a 3.5-million-bpd cushion to protect against any further supply outages on the global market. But many in the oil industry question how quickly and sustainably Riyadh could deliver that volume. Simmons & Co founder Matthew R. Simmons, until his death in August 2010, repeatedly questioned Saudi Arabia's ability to boost and sustain higher production in the long term, citing geological constraints. 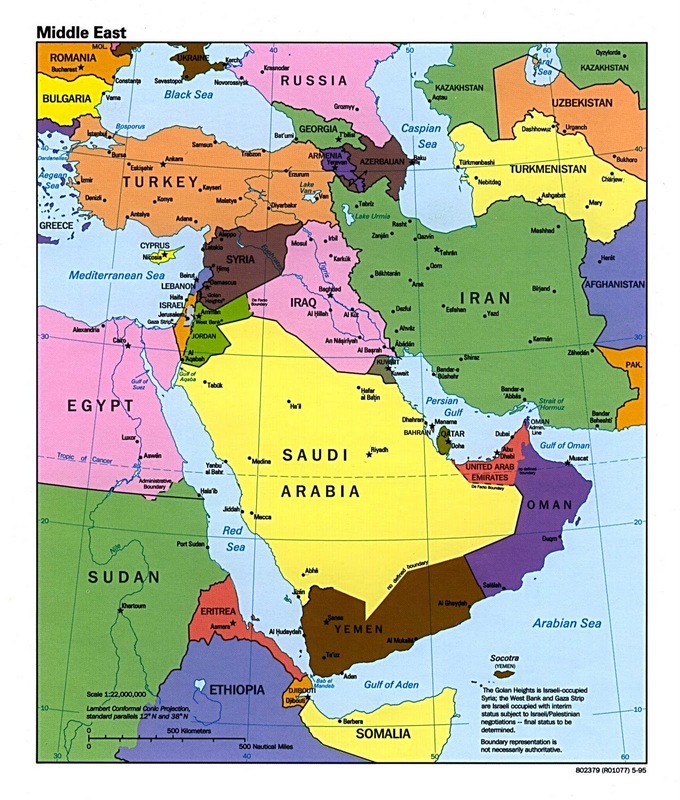 Other commentators have also doubted the extent of Saudi spare capacity and said it would be tested to the limit if protest movements across the Middle East caused further supply disruption. Already violence in Libya has cut exports of about 1.2 million bpd on the 89 million bpd world market. "The real risk is that the remaining spare capacity cannot accommodate an escalation in disruption right now in our view," Goldman Sachs wrote in a note dated March 7. Goldman also said earlier that Libya's disruption could absorb as much as half of OPEC's spare capacity. Much of Saudi Arabia's international influence has derived from a role often described as the oil world's equivalent of central banking. As the holder of almost all the available spare production capacity, it can add supplies to oil markets in time of need. The only other significant spare capacity, albeit in much smaller volumes, is controlled by Saudi Arabia's fellow Gulf states the United Arab Emirates and Kuwait. Maintaining surplus capacity costs billions and some analysts have questioned whether Saudi Arabia would continue to invest, especially when the world's largest oil consumer the United States has repeatedly said it wants to wean itself off foreign oil. Since then, Riyadh has said there was no need to increase its oil capacity and has shifted the focus to expanding its natural gas production, needed for domestic power needs. "Plenty of people out there paint a doomsday scenario of Saudi capacity, but I don't buy that," said Sarah Emerson of Energy Security Analysis Inc in Boston. "This doesn't sound like a scramble to me. They need to add more equipment as they go along and retrofit older equipment." Simmons' Herbert said Saudi Arabia wanted the rig count to rise quickly in the second half of 2011 and the first half of next year. It might use some of the rigs for a $16 billion Moneefa offshore heavy crude project, undertaken by state oil giant Saudi Aramco to compensate for declines at other fields. It is scheduled to start up by June 2013 at 500,000 bpd and to ramp up to 900,000 bpd by 2024. The increase in rig activity is "manifestly positive" for oil service companies, Herbert said. Halliburton said late on Monday it would accelerate activity at Moneefa. The company's shares rose 2.4 percent to $49.06 on the New York Stock Exchange on Tuesday after surging 4 percent on Monday. Shares in Schlumberger (SLB.N) have climbed 9.3 percent in two days, while Baker Hughes (BHI.N) is up 4.8 percent over the same period. March 29, 2011, 09:34 PM — Back on March 1, an employee of oil giant BP lost a laptop with personal information from 13,000 Gulf of Mexico residents who had filed damage claims in the wake of last year's massive Deepwater Horizon offshore platform spill. Fortunately, BP immediately informed the victims of the data loss, giving them plenty of time to notify their banks, credit card companies and authorities. Oh, wait. BP actually waited almost a month to tell 13,000 people whose lives already have been turned upside down due to the company's negligence that their personal, unencrypted information was floating around somewhere inside a lost laptop. The Associated Press reports that "the oil giant on Monday mailed out letters to roughly 13,000 people whose data was stored on the computer, notifying them about the potential data security breach and offering to pay for their credit to be monitored." What took so long? A company spokesman told AP the company was desperately trying to find the laptop before anyone found out about it "doing our due diligence and investigating." Despite all of BP's diligence and investigating, the password-protected laptop remains missing. It reportedly contains an unencrypted spreadsheet of "claimants' names, Social Security numbers, phone numbers and addresses," AP writes. This is a good reminder to anyone -- businesses, employees, personal laptop owners -- that mobile devices with valuable data can get lost. There's no way to eliminate that problem. But for a business to leave the personal data of its customers, clients, employees -- anyone, really -- unencrypted and vulnerable on a laptop is grossly irresponsible. Not telling potential victims for almost a month is even worse. Chris Nerney writes about the business side of technology market strategies and trends, legal issues, leadership changes, mergers, venture capital, IPOs and technology stocks. Follow him on Twitter @ChrisNerney. SINGAPORE, March 30 (Reuters) - U.S. oil prices eased on Wednesday as an expected rise in U.S. domestic crude stocks offset support from unrest in Libya and the Middle East. * NYMEX crude for May CLc1 slipped 27 cents to $104.52 a barrel by 0001 GMT, erasing some of the gains in the previous session. * Ahead of Wednesday's data by the Energy Information Administration, a Reuters survey of analysts estimated U.S. crude stocks would increase by 1.8 million barrels, with gasoline down 1.9 million and distillate inventories down 600,000 barrels. * The American Petroleum Institute said U.S. crude stockpiles rose a larger-than-expected 5.7 million barrels last week. * Muammar Gaddafi's better armed and organised troops reversed the rapid westward advance of rebels as world powers meeting in London piled pressure on the Libyan leader to step down. * In Syria, President Bashar al-Assad sought to deflect the greatest challenge to his 11-year rule by mobilising tens of thousands of Syrians in mass rallies across the country in response to pro-democracy protests. * Saudi Arabia's plans to expand its drilling rig count by 28 percent signal a rush to deliver the 12.5 million barrels a day of capacity that Riyadh has long claimed is in place. * The U.S. dollar rose on speculation the Federal Reserve might curtail a programme aimed at keeping interest rates low. * U.S. consumers turned gloomy in March as rising energy prices ignited fears of inflation, a change in mood that could dent economic growth. * U.S. home prices fell for a seventh straight month in January but held above their post-housing bust low of April 2009. * Debt-stricken Greece and Portugal suffered new blows after Standard & Poor's downgraded their credit ratings on possible risk to bondholders, sending their borrowing costs sharply higher. Nigerian National Petroleum Corp.’s four oil refineries are running at about 30 percent of installed capacity because of interruptions in the supply of crude, a company official said. 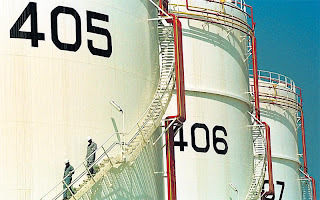 Nigeria’s refineries have the capacity to process 445,000 barrels of crude a day. 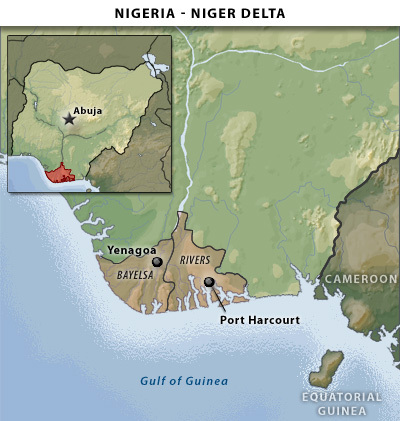 Oil supplies have been intermittently disrupted by attacks on the pipelines by militants in the southern Niger River delta. NNPC has used ships to transport crude to its 125,000 barrel-per-day Warri Refinery to decrease its reliance on piped oil. 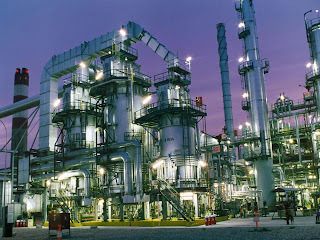 All four refineries are undergoing routine maintenance, while equipment is being procured to undertake “extraordinary” maintenance that should enable the plants to operate at 60 percent of capacity by the end of next year, Chukwu said. Nigeria, Africa’s top oil producer, relies on fuel imports to meet its domestic fuel needs that can’t be supplied by domestic plants. NNPC and China State Construction Engineering Corp. agreed in May to seek $23 billion in funding to build three new oil refineries and a petrochemical complex in the West African country. “We are just at the conceptual stages” and no funding agreements have been concluded, Chukwu said. He was unable to say when construction of the new plants is expected to begin. To contact the editor responsible for this story: Andrew Barden at barden@bloomberg.net. The Central Bank of Nigeria (CBN) says that Nigeria’s oil production reached 2.1 million barrels per day in 2010. CBN finance director, Alex Gaura, said this at the inaugural Regional Conference of the Institute of Chartered Accountants of Nigeria (ICAN) UK District, held in London. “By the end of 2010, the country’s production level was 2.13 million barrels per day,” Gaura was quoted as saying. He said, however, that in spite of this rise more was still needed to let the sector make more impact on the nation’s economy and the majority of the populace. He also said the capacity utilisation of the four refineries in the country was still estimated at just 24 percent in 2010. Earlier, ICAN UK chair, Ronke Adeagbo, said the sustainability of the country’s economy “is a must do” for all, irrespective of individual’s field of endeavour. “Our living environment is now under threat and at best, in a flux, requiring multi-disciplinary lenses to perceive and understand. “Any proposed solutions must definitely be integrating in nature,” she said. Also, ICAN president, Maj. Gen. Sebastian Achulike said economic sustainability had become an issue of global concern. He stressed that sustainability was about ensuring that organisations developed and implement environmental, social and economic strategies that would lead to business success without negative impact on the environment. “In this respect, professional accountants must encourage their organisations to accept responsibility for their negative economic externalities,’’ he said. Achulike added that accountants must also measure and strategically align their operations to meet the expectations of their customers, suppliers and other stakeholders including the environment in which they are domiciled. Conoco Considers Exit from Nigeria, Libya, Three Others. ConocoPhillips, a Houston-based integrated energy company and key player in Nigeria’s oil and gas sector has announced plans to sell between $5 billion to $10 billion worth of non-core assets in Nigeria, war-torn Libya and three other countries. The company said in its annual analyst meeting that the sale might include exits from countries where its interests are not large. Details of the planned divestment was however not provided. The energy giant with operations in 49 countries has an interest in four onshore oil mining leases (OMLs) and exploration rights in one Nigerian deepwater oil prospecting lease (OPL) and one deepwater OML. In addition, ConocoPhillips has an interest in a gas-fired, combined cycle power plant. The company also has a stake in oil production through its 20percent holding along with Agip (20percent) and NNPC (60percent) in the Brass River crude oil field. Exploration and production of oil and gas is a key part of the ConocoPhillips business portfolio. The company’s output in Nigeria was 20,000 barrels of oil per day and 141 million cubic feet of natural gas. Argus oil analyst, Phil Weiss revealed at the weekend that Conoco’s plans to sell its interest in oil and gas properties will Libya and Kazakhstan as part of planned asset divestment. "Selective country exits are also possible. Candidates would be Nigeria, Vietnam, Libya, Algeria and Kazakhstan," Weiss wrote in a note to clients at the weekend after a meeting with Conoco's chief financial officer and head of investor relations. Conoco is in the midst of a plan to boost shareholder returns with share buybacks and higher dividends. Proceeds from the asset sales, expected to total as much as $17 billion, will be used to fund that program. In Libya, Conoco holds a 16.3 percent interest in the Waha concessions, where net oil production averaged 46,000 barrels per day (bpd) last year. In the Caspian Sea, Conoco has an 8.4 percent interest in the Kazakhstan's North Caspian Sea Production Sharing Agreement, which includes the Kashagan Field. First production from that project is expected in late 2012. Shares of Conoco rose 45 cents to $80.15 in midday trading on the New York Stock Exchange. The company has approximately 56,000 employees worldwide and assets of $75 billion. ConocoPhillips stock is listed on the New York Stock Exchange. Citing Nigeria’s turbulent oil and gas sector, British Gas (BG) Exploration and Production last year threatened to pull out of Nigeria despite the investment of over $500 million in its exploration activities on the offshore blocks OPLs 332, 286-DO and 284-DO since 2004. BG Nigeria is 100 per cent owned by BG UK Plc. The company was a major partner in the multi-billion dollars Olokola (OK) LNG project in Ogun and Ondo states before it indicated plans to divest in August, last year. As part of moves to close its operation in the country, sources said the company had planned to terminate appointments of over 100 remaining Nigerian in its employ. Also, a 10-man transitional management team, headed by the company’s Managing Director, Mr. Ademola Adeyemi-Bero, was said to have been directed by the parent company, BG Group, United Kingdom to oversee an orderly liquidation process and commence winding-up proceedings before the end of the year. HOUSTON — After seizing control of critical oil fields and terminals in eastern Libya over the weekend, Libyan rebels are now trying to sell oil in international markets, potentially raising hundreds of millions of dollars to buy weapons and supplies. Oil industry officials, echoing claims made by a rebel leader, said Monday that they believed that Qatar had agreed to buy oil offered by the rebels and planned to ship it in leased tankers. The Qatari government has not commented on the oil sales, but on Monday, Qatar became the first Arab country to formally recognize the legitimacy of the rebels as representatives of Libya. In addition, the recent military advances by the rebels were made possible by allied air support as well as critical logistical commitments from Qatar. Over the last few days, the rebels have seized several towns with important oil installations that they said would enable them to produce and export crude. Although there is concern that the rebel advance may prove to be fleeting, oil traders responded to their victories by pushing down the price of most world oil benchmarks, albeit modestly. On Monday, the price of the benchmark United States crude oil, West Texas Intermediate, fell by $1.48 a barrel, or 1.4 percent, to $103.92. The benchmark is 7.3 percent higher than it was a month ago, and 30 percent higher than a year ago. Although the Libyan government faces global economic sanctions and asset freezes, an official at the Treasury Department said that the United States would not seek to block oil sales by the rebels if they could prove the money was not going to any Libyan government authority, the national oil company or the Qaddafi family. According to news reports, the rebels claimed they would be able to produce up to 130,000 barrels of crude a day, less than a tenth of what Libya exported before turmoil erupted last month. 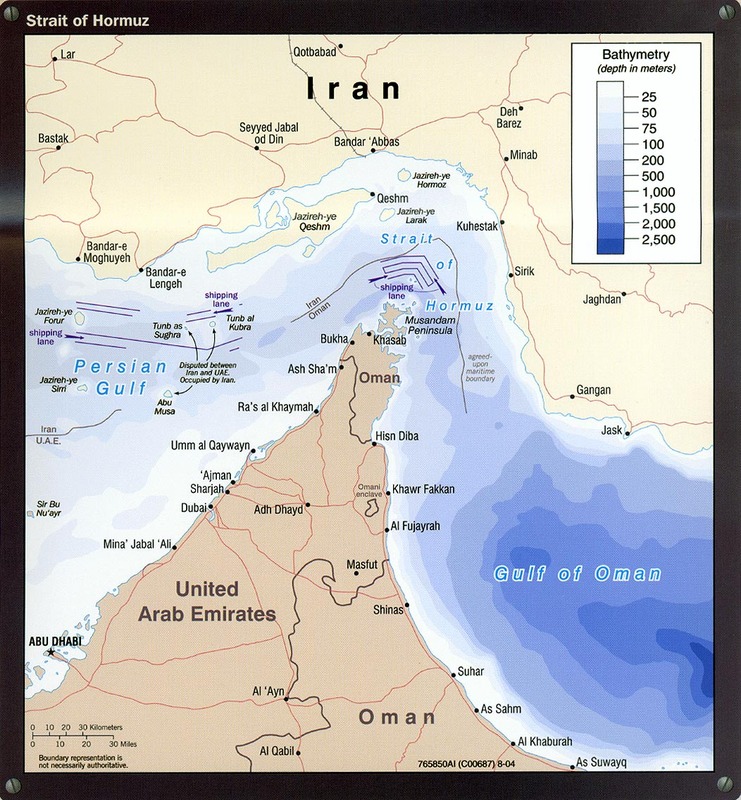 But they also have access to millions of barrels stored in coastal oil terminals, which have been effectively closed to tanker traffic during the conflict. The rebels now control all five eastern oil export terminals, including Es Sider, Ras Lanuf and Zueitina, roughly two-thirds of the country’s export capacity and a majority of its production and refining capacity, according to a research note by the Eurasia Group, a consultancy firm. Francois Gauthier, the Algeria country manager for the Italian energy company Enel, estimated that there could be as many as two million barrels of oil stored in just one rebel-controlled oil port, Tobruk, that could be exported quickly. At an estimated sale price of $100 a barrel, selling the oil in Tobruk could raise as much as $200 million, although the rebels would probably have to share the funds with Western oil companies that co-own the leases on the fields. “It’s a lot of cash, but it won’t solve all of their problems over the long run,” Mr. Gauthier said. Libyan oil is particularly valued on world markets because it is high quality, needs little refining and is particularly well suited for European diesel markets. With allied planes and naval vessels patrolling the area, Col. Muammar el-Qaddafi could be powerless to stop tankers from sailing into and out of Tobruk and other rebel-held ports. However, forces loyal to Colonel Qaddafi could still sabotage critical pumping equipment needed to transport oil from the fields to the ports. The rebels already have their own oil company, Agoco, which is based in rebel-held Benghazi and broke away from the main national oil company early in the conflict. Agoco controls fields that represent 40 percent of the country’s 1.6 million barrels a day of output and operates an oil terminal and refinery in Tobruk. Aside from a few refinery storage tanks, little of Libya’s oil infrastructure has been damaged in the fighting so far. The pumps, hoses, metering, docks and storage tanks at the ports are intact, and the oil fields are ready to be pumped by local oil workers, according to oil experts. “It’s only a question of flipping switches,” said Michael C. Lynch, president of Strategic Energy and Economic Research, a consultancy firm. Details of the dealings between the rebels and the Qataris remain unclear, but several oil industry experts said the Qataris or the United Nations could place money from any Libyan oil sales in an escrow fund that would later reimburse Italian, French, Spanish and American oil companies that have investments in the Libyan oil fields. Those companies include Eni, Repsol, Total and Occidental Petroleum. 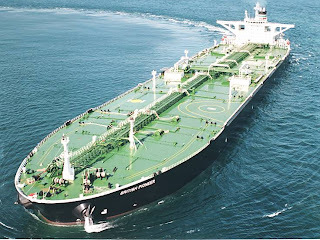 NEW YORK,(Reuters) - Global fixtures for Very Large Crude Carriers (VLCC), or tanker ships that carry around 2 million barrels each, rose to a five-year high of 125 in March as OPEC pumped more crude, Norwalk, Connecticut-based tanker operator Heidmar told Reuters on Thursday. The number of fixtures is likely to fall significantly in April, however, as key refineries in the world's No. 3 crude importer Japan remain offline following the country's devastating earthquake and tsunami on March 11. "Saudi Arabia especially appears to be producing a lot more crude and that has helped push the number of fixtures up," said Heidmar vice president Per Heilmann on the sidelines of a shipping conference in New York. "But the number in April will probably fall with less crude headed for Japan since some of its refineries are idled." Shipping sources had told Reuters that VLCC fixtures likely hit a record in March. Shippers say the increase in fixtures doesn't necessarily equate to big profits for ship operators, since charter rates have been depressed by the large number of available VLCCs -- in part due to a sharp reduction in offshore crude storage -- and expensive bunker fuel has also eaten into profits. Another tanker operator, George Saroglou of Tsakos Energy Navigation, said Japan's disaster is bearish in the near-term for crude carriers, since large Middle East Gulf producers, including Saudi Arabia, have delayed or stopped new crude shipments to Japan until the situation in its ports become more clear. "This is bearish for now. Japan has less need to import crude for the time being," Saroglou said in an interview at the Capital Link Shipping Forum in New York. "But over time with much of its nuclear power capacity offline we should see Japan taking bigger imports of crude, LNG, fuel oil and diesel." Saroglou forecast that a resumption in large volume crude cargoes from the Middle East Gulf to Japan could come at the end of March. "The Japanese are very efficient, so I expect the recovery will come soon," he said. "We aren't going there," said Tobias Konig, managing director of ship operator American Feeder Lines. "Unfortunately the radiation crisis is ongoing, and shippers do not want to risk a contaminated ship." On a global scale, however, tanker cargoes may see a boost in the future as several countries consider halting or delaying nuclear power projects, which could necessitate higher volumes of oil product shipments to guarantee power generation, Konig said. The case of the Tema Oil Refinery (TOR) in the ensuing litigation over the pollution of Chemu II Lagoon suffered another setback last Tuesday when a motion it made to the court to amend portions of its statement of defence was rejected by the Tema High Court. Counsel for TOR, Kwami Adobor, made the application for a motion for leave of the court to amend portions of its statement of defence, but the presiding judge, Justice Mrs. Cecilia Sowah dismissed the application. TOR has been sued for allegedly polluting the Chemu II Lagoon. The pollution was said to have taken place on May 7, 2007. The plaintiffs are the Centre for Public Interest Law(CEPIL) and Mr Richster Nii Armah Amafio. CEPIL is a legal non-governmental organisation devoted to litigating on behalf of disadvantaged communities with no ready access to legal service. The Court had earlier ruled against the company when it tried to block the motion of the plaintiffs by arguing that they lack the capacity to bring legal action against it. At last Tuesday's sitting, Mr. Adobor sought to amend paragraph 5 of his client's statement of defence which states that "occasional spills in insignificant quantities from its refinery cannot be the cause of the alleged level of pollution and annihilation of all life forms in the Chemu Lagoon mentioned in the pleadings of the plaintiffs." However, in his argument for the motion for the amendment he said the rendition of the said paragragh contradicts his client's statement of defence and is likely to cause confusion. The amendment, according to him, will bring clarity in the case of the defendant. He again argued that their request if granted will not be contrary to the position of the law as one is permitted to do so any time before judgment. To him that part of the statement is an error that should not be visited on his client. Counsel for plaintiffs, Kumi Larbi, however, rejected the claim of contradiction argued by the defence counsel, contending that it was a specific response defendant gave in its pleadings. Mr Larbi said though parties under the law can amend their pleadings the process should not be abused. The pleadings of TOR, he said, are a material fact. He said almost after five years after they have admitted to the offence they cannot come back to the Court to say that they are changing it. It is a material fact which they have admitted to and granting the application would therefore amount to mockery of the law. "It is an afterthought and imagination of their mind," Mr. Larbi argued. Justice Sowah upheld his argument and accordingly dismissed TOR's application. The plaintiffs are seeking a declaration from the High Court that TOR was negligent in allowing the oil spill into the Lagoon on the said date and also a pronouncement that the spillage was a violation of the rights of the inhabitants of Tema Manhean and other communities, along the banks of the Lagoon. They are also praying the court to make an order compelling the company to clean the lagoon under the supervision of the Environmental Protection Agency (EPA). Additionally, the plaintiffs are seeking an order of perpetual injunction restraining the defendants from "further polluting the aforesaid lagoon through oil spillage or other means." They are also seeking legal costs and damages from TOR. In an attempt to block the motion TOR responded with a plea asking the court to dismiss the writ of the plaintiffs on the grounds that the plaintiffs lacked the capacity to bring legal action against TOR. Counsel for the defendants further submitted that the plaintiffs had not provided a reasonable cause for action against the defendant, and that their suit was also fraught with procedural irregularities. 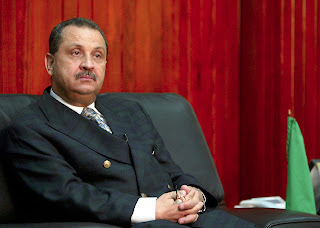 But the then presiding judge, Justice Francis Korbieh dismissed the motion, observing that nowhere in his submissions and arguments did counsel for TOR question the capacity of the plaintiffs as individuals to bring an action against the refinery, except to say that the plaintiffs were "busy bodies seeking cheap popularity". He said counsel for the defendants merely foisted the tag of 'representative action' or 'class action' on the plaintiffs' suit, and proceeded to argue that the plaintiffs had not met the conditions for a "representative action" or "class action". ã--"What one has to look at is whether the plaintiffs, in their own capacities, have an action to bring against the defendants and not whether the plaintiffs fulfilled the requirements of "representative action," Judge Korbieh said. The judge said counsel for the plaintiffs, on the other hand, had argued that the plaintiffs had not brought a "representative action" against the TOR, but rather sued the defendant company in their capacity as individuals. The case of the plaintiffs is that the Lagoon is an important component of the ecology of the region forming an integral part of fishing as well as providing habitat for bird-life, and salt water centered on mangrove which has historically provided for wildlife and fish as well as provided for fish and other sources of livelihood for the coastal residents. They further stated that due to the proximity of the defendant company to the lagoon, it has been exposed to hydro-carbon contamination, a phenomenon attributed to the defendants company. "In the past there have been spillages into the lagoon due to poor state of equipment or inefficiency on the part of the company's employees in charge of the equipment and that on May 7, 2007 there was massive pollution into the lagoon," they stated. That the persistent pollution of the lagoon has denied residents their livelihoods and also the death of the lagoon is an incident of pollution and it is the abuse of the human rights of residents living around the Lagoon. The pollution of the Chemu Lagoon by the oil refinery, the plaintiffs further contended, infringed upon the rights of the inhabitants of Tema Manhean and especially communities along the banks of the Lagoon to a clean and healthy environment as guaranteed them under the 1992 Fourth Republican Constitution. The case has been adjourned for trial on Tuesday, May 3. The New Patriotic Party (NPP) Member of Parliament for Abuakwa South has been cited in a complex web of fraud in which a gang of Nigerians with their Ghanaian counterparts are out to dupe the Tema Oil Refinery (TOR) a whooping US$48 million over a cargo of crude oil supplied to the refinery which they are falsely claiming ownership. Holding fake documents bearing ghosts names, misspelled names, untraceable addresses, wrong telephone lines, questionable stamps, among other interesting things, Samuel Atta Akyea is acting as one of the lawyers for one of the numerous claimants to the crude oil, Abibi Energy Ghana Limited, whose documents Nigerian authorities have described as forged. Court records available to The Herald have also revealed that Mr. Akyea went to court posing as lawyer for two other companies, Kinz Petroleum Ghana Limited and NTHC Limited, but the two companies wrote to the court distancing themselves from him, saying they did not instruct him to initiate any legal process on their behalf. Mr. Akyea has disclosed to The Herald that Abibi Energy has not paid him any fees yet. He, however, hopes to reap at least a cool One Million Dollars of the US$48 million, if they are successful in their quest. He went on to accuse TOR, Ghana’s state security apparatus and one Dzakpa at the presidency, of fraud, and added that some officials are out to cover-up a stinking deal. The MP mentioned a certain Princess Ake of Orisa Oil Well and one Charles Igbe formerly of Intercontinental Bank- Alaba Branch – as having aided officials of TOR and Sahara Group of companies, to steal his clients’ crude oil delivered to the refinery sometime last year, with a hurriedly drafted sale and purchase agreement dated August 18, 2010. In an interview in his office last Monday, the NPP MP who has already been to court but had his injunction against the refinery thrown out by Justice Barbara Ackah-Yensu of the High Court-Commercial Division revealed he does not know the office location and address of the Abibi Energy, here in Ghana, except one Owen Palmer, domiciled in Italy. The court further slapped Mr. Akyea with a cost of GH¢500, in favour of the Tema Oil Refinery. His injunction was for a court order to prevent TOR from paying the lawful owners of the oil, Refinee Petroplus, owned by the all-powerful Sahara Group of companies, which has an overwhelming link to Nigerian presidency. He admitted that his clients which include Diamond Shipping Limited owned by one Dr. Maureen Nwangwu-Iduh, does not have Letters of Credit (LC) from any bank covering the transaction between TOR and Abibi Energy Ghana Limited, but rather a “payment undertaking” dated June2, 2010, signed by MD of TOR, Mr. Ato Ampiah and the General Manager of Finance, Prince Ofosu Adjei. The said Owen Palmer, identified as CEO/President of Abibi Energy Ghana Limited and based in the Italian city of Parma, when reached by The Herald, asked that The Herald should speak with his local manager, Mr. Appiah, on 0243403041. The paper noticed that the said Appiah is different from one Ms. Charmaine Kelly who, on the records of the courts, is also identified as an agent of Abibi Energy Ghana. Mr. Appiah later called The Herald, and gave his number and e-mail address as 02443403041(sic) and appiahmail:abibifoods@live.com, and promised to reach the paper later for a discussion. Another document in possession of The Herald has revealed that TOR did due diligence on Abibi Energy Ghana by writing to the Nigerian National Petroleum Corporation (NNPC) to authenticate some documents it received from Abibi Energy Ghana. However, NNPC wrote back saying that the documents from Mr. Akyea’s clients, Abibi Energy Ghana, were fake, and asked the Tema Oil Refinery to “be guided accordingly.” The warning was contained in a letter dated November 8, 2010 and signed by G. Jedy-Agba, Group General Manager of Crude Oil Marketing Division. Apart from Dr. Maureen Nwangwu-Iduh’s Diamond Shipping Limited, others who are also claiming ownership of the same crude oil are Zicokem Limited/Asset Ikram SDN.BDN Lagos, Nigeria. There are other reports saying that a certain political party in Nigeria stole the oil and sold it to TOR with the intension of using the proceeds to finance their campaign in elections due next month. All the NNPC documents labeled as fake came from one Dr. Johnson Ogunshola. He variously identified himself in the documents a director of the Crude Oil Marketing Division at Abuja-Nigeria, and in other instances, vaguely signed only as an officer of the same Crude Oil Marketing Division. Dr. Johnson Ogunshola, in other letters, claimed that the crude oil in question is a Forcados Blend Crude Oil, while in other letters, he said it was rather Brass Crude Oil that was supplied to TOR, implying, therefore, that two different types of crude oil loaded at separate terminals, were rather impossibly onboard the same shipping vessel. Furthermore, in one of documents, Abibi Energy was named as Obibi Energy. Interestingly, it was only this document that mentioned Abibi Energy as one of the numerous claimants to the crude oil. According to the letter sent to TOR, the NNPC office in Nigeria can be located in Garki-Abuja. It has 09-2348200-17 as its telephone number. But Dr. Johnson Ogunshola’s letters stated the address of the NNPC in Lagos not Abuja, and the telephone numbers as (01) 603100 (30), and claimed that the Abuja office was rather for administrative purposes. Another interesting thing is that the NNPC letter which described Abibi Energy Ghana Limited claims as false, mentioned Mrs. Diezani Alison-Madueke as Minister of Petroleum, Mr. Augustine O. Oniwon (GMD) – (GED. R&P), Mr. Philip O. Chukwu (GED. B&P) as members of the NNPC Executive Board. Other members of the board are Dr. Attahir B. Yusif (GED. C&I), Mr. Michael A. Arokodare (GED. F&A), Mr. Aminu A. Babakusa (GED. Special Services), Mr. Faithful A. Abbryesuku (GED. CS), Engr. Billy Agha (GED E & T) and Prof. Yinka Moorage Secretary/ Legal Adviser to the Corporation. Dr. Johnson Ogunshola’s letters bear no other names apart from Dr. Johnson Ogunshola, who seems not to exist. The Herald is in possession of a document purportedly from the Nigerian office of INTERPOL on the matter, and which the paper is investigating to authenticate. Accra, March 28, GNA - Mr Pryce Kojo Thompson, Board Chairman of the Ghana Commercial Bank, on Monday disclosed that Government has paid the remaining GH¢ 572 million owed to the bank by the Tema Oil Refinery (TOR). Addressing shareholders at the annual general meeting of the Bank in Accra, Mr Thompson said the money had placed the bank in very good position to carry out its planned programmes and activities. Government had earlier in March 2010 made partial payment of GH¢445 million to the bank. On the financial performance of the bank, Mr Thompson said the bank saw a much improved financial result in 2010 compared to the previous year. The Bank's net profit jumped nearly 198 per cent to GH¢56.1 million from GH¢18.8 million in 2009. The financial institution also recorded a net income of GH¢259.9 million in 2010, up 57 per cent from GH¢165.8 million the year before. "Significantly, the 2010 net income of GH¢259.9 million was achieved after impairment charge on loans and advances of GH¢70.9 million which was almost twice the 2009 loans impairment charge of GH¢36.7 million," he said. As regards operations of the bank, Mr Simon Dornoo, Managing Director, Ghana Commercial Bank, said 2010 was a year of consolidation during which the focus was mainly on improving the overall risk profile of the bank and driving top-line revenue growth. Mr Dornoo assured shareholders that 2011 was promising with the emerging oil and gas industry expected to spur growth in other sectors of the economy. At the meeting, the appointment of Pannel Kerr Foster was terminated due to directives issued by Central Bank to terminate all appointment of Audit Firm, which had served for over five years. KPMG will now carry out the auditing functions of the bank. Mrs Adelaide Mary Benneh, Dr Augustine Fritz Gockel and Mr Elliot Gordor were also re-elected as directors of Ghana Commercial Bank. Shareholders also approved a dividend of 7 pesewas per share at the meeting. DOHA, (Reuters)- There is no need for OPEC to hold a meeting before June as the market is in a comfortable position, Qatar's Energy Minister said on Sunday. "We can't see the real need [for a meeting] because the market is in a comfortable situation," Mohammed Saleh al-Sada told Reuters on the sidelines of an industry event in Doha. Nigeria steadied oil production at 2.4 million barrels per day (bpd) at the weekend and crude prices on the international market rose. Economists predicted that the world would keep consuming more oil even with the disasters in Japan and the intifadas in North Africa and the Middle East. Major oil producers like Saudi Arabia have cranked up production to make up for lost Libyan oil. While this increases the flow of oil right now, it also cuts off spare production that could have been tapped later this year to meet increasing world demand. Spare production capacity, which was thought to be around five million bpd earlier this year, has since dropped to about three million barrels. Traders are carefully assessing economic strength in the United States, which consumes about 22 per cent of the world’s daily output. High oil prices could hurt growth. American Government reports gave a mixed reading last week. The U.S. said home construction has nearly come to a halt and that companies trimmed orders for long-lasting manufactured goods. But it also added that oil demand keeps rising despite a 49-cent increase in pump price since the year began. Benchmark West Texas Intermediate crude for May delivery settled at $105.40 per barrel (pb) on the New York Mercantile Exchange on Friday. Mumbai---Essar Energy PLC is no longer in the race to acquire Royal Dutch Shell PLC's stake in oil and gas exploration blocks in Nigeria, a company spokesman said Thursday. "Essar Energy can confirm that it had bid, as part of a consortium, for Shell's blocks in Nigeria. However, it is no longer in the race," the spokesman, who didn't wish to be named, told Dow Jones Newswires via e-mail. The spokesman declined to comment on the specific blocks it had bid for, the size of the bids, or the reason for withdrawing from the bidding process. Shell is selling four of its onshore oil blocks in Nigeria to oil producers eager to snap up Western oil majors' properties. The sales are part of Shell's plan to reduce its footprint in Nigeria's onshore assets, where output has been hit by militant attacks and oil theft since 2006. "We have confirmed that the four blocks are up for sale, but we are not making any further comment on the issue," said Jonathan French, senior spokesman at Shell, via e-mail. The uprising against Libyan ruler Muammar Qaddafi may boost supertanker earnings above 2010 levels as U.S. oil refineries are forced to increase imports from the Middle East, Arctic Securities ASA said. Demand for very large crude carriers, or VLCCs, could rise as much as 6 percent as Europe takes a greater share of West African and Algerian oil, forcing U.S. refiners to import more from the Persian Gulf, Arctic head of equities Ivar Larsen wrote in an e-mailed report today. That would entail longer-distance deliveries that effectively cut vessel supply. “Given that this effect could be there for a year, we could see a market that’s better than last year,” Larsen said by phone. Tanker earnings “could surprise on the upside,” according to the note. 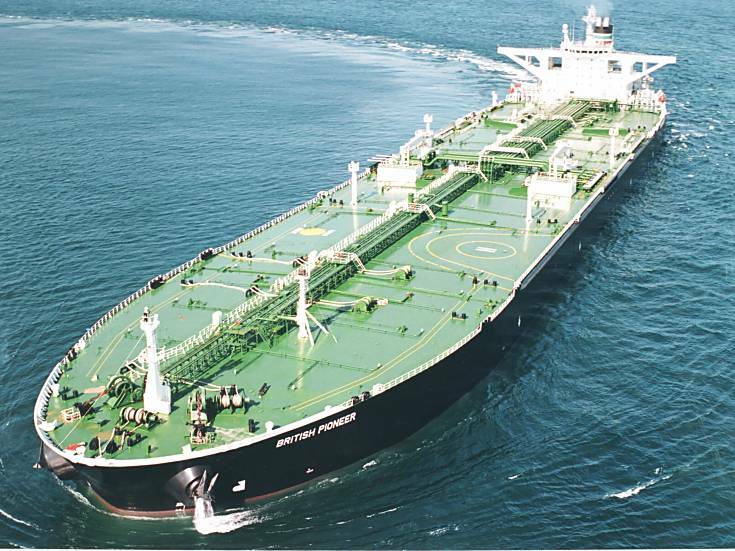 Returns from supertankers on the industry’s benchmark Saudi Arabia-to-Japan route have been above what Frontline Ltd., the biggest operator, requires to make a profit on only 10 days this year, according to data from the company and the Baltic Exchange in London. Libyan oil output has fallen to less than 400,000 barrels a day, about a quarter of production before the crisis, and may stop, Shokri Ghanem, chairman of Libya’s National Oil Corp., said on March 19. Italy’s Eni SpA (ENI), the biggest foreign oil company in Libya, evacuated the last of its expatriate staff after the United Nations authorized military action. So far this year, rents on the Saudi Arabia-to-Japan route have been 66 percent below the corresponding period in 2010, declining 23 percent to $22,678 a day last week, according to the Baltic Exchange. Of the 24 analysts following Frontline, half recommend selling the company’s shares. The Libya effect could lift overall VLCC utilization rates above 92 percent this year from about 90 percent in 2010, Larsen wrote. Nigerian lawmakers have passed a 2011 budget suggesting that oil production levels in the OPEC-member nation will remain at 2.3 million barrels a day throughout the year. The budget bill, given final approval Wednesday, plans on the West African nation spending $33.1 billion this year. It anticipates oil production levels will hover near the level they are now, without any interruption from the militant attacks that once plagued the country's oil-rich Niger Delta. The budget also plans on the price of crude oil to be about $75 a barrel. With oil prices hovering around $97 a barrel now, that allows much wiggle room for a country funded largely by oil revenues and with a history of corruption. SYDNEY (Dow Jones)--Crude-oil futures jump above $103/bbl Monday following UN-sanctioned aerial and naval strikes on military forces loyal to Libyan leader Col. Moammar Gadhafi, with analysts talking up a major rally if the loss of Libyan oil supply is prolonged. The oil market ignored Libya's announcement of a new cease-fire in the campaign by Gadhafi's regime against an uprising, after an earlier promise to lay down arms proved hollow when Gadhafi's troops continued an assault on the rebel stronghold of Benghazi. On the New York Mercantile Exchange, light, sweet crude futures for delivery in April traded at $102.94 a barrel at 2239 GMT, up $1.87 in the Globex electronic session. The contract earlier hit an intraday high of $103.19/bbl. Libya, a member of the Organization of Petroleum Exporting Countries, pumped 1.65 million barrels a day of crude prior to a popular uprising against the Gadhafi regime. In a sign that traders expect UN-sanctioned military intervention in Libya to limit oil supply for a sustained period, Nymex crude for May delivery was trading at a premium to the April contract. At 2239 GMT, Nymex crude for May delivery was up $1.99 at $103.84/bbl. Josephine Heffernan, senior economist at St. George, noted comments in the media by Libyan oil minister Shukri Ghanem that crude production in the North African country "could reach a halt" due to conflict. Ghanem, who is also chairman of Libya's National Oil Corporation, said the country's oil output currently stands at 400,000 barrels per day, less than a third of normal. The prolonged loss of Libyan crude in the wake of military intervention by U.S., France and their allies could push oil prices all the way up to the highs above $140 seen in 2008, says Julian Jessop, chief international economist at Capital Economics. Although Libya only accounts for 2% of the world's oil supply, the strength of global demand as economies such as the U.S. recover and China's oil consumption continues to grow sharply means the oil market remains tight. "The upward pressure on the price of oil to date has been capped by the expectation that the disruption to Libyan supply will only short-lived, allowing it to be offset fairly easily by drawing on stockpiles and increases in output from elsewhere, notably Saudi Arabia. This might change if there is more serious damage, accidental or otherwise," Jessop says. However, the risk of a nuclear disaster in Japan appeared to diminish over the weekend, weakening another plank that has been supporting oil futures for more than a week. Japan has restored power to parts of the earthquake-damaged Fukushima Daiichi plant and are bringing down radiation levels with a marathon water-spraying operation. Japan's Defense Minister, Toshimi Kitazawa, said the temperature in all of the pools that store spent nuclear fuel at the six reactors has fallen below 100 degrees centigrade, or 212 degrees Fahrenheit, a key advance after fears that the spent fuel could explode and spew large amounts of radiation into the air. An army spokesman says after investigations into explosions at an oil well head this week they have identified a prime suspect. Lt. Col. Timothy Antigha told The Associated Press Thursday that a man known as Cmdr. Gen. Plasma is likely responsible for Tuesday's attack on an oil facility in Bayelsa state. Antigha said Plasma recently threatened to disrupt the oil company's operation. The call casts doubt on a claim of responsibility by the Movement for the Emancipation of the Niger Delta, the main militant group in the oil-rich region. Antigha said the attack "does not bear the signature" of the group, and that an e-mail attributed to the group was "just being opportunistic." 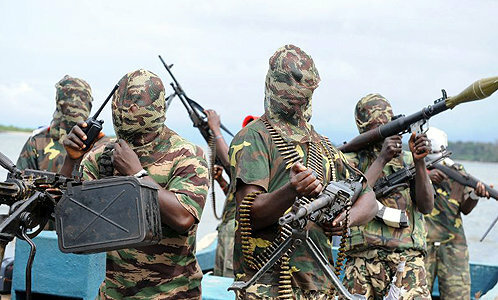 Militants in the restive region have attacked pipelines, kidnapped petroleum company employees and fought government troops since 2006.